The authentic foundation of Technotrash Alberta was laid in April of 2004 after the collapse of a core electronics recycler in Calgary, Alberta. Due to electronics manufacturer planned obsolescence, little accommodation for E-Waste recycling, and a growing technological economy, the industry required a reliable network of electronics recyclers. Technotrash Alberta Ltd. was therefore born by the DeSchover family with a vision. 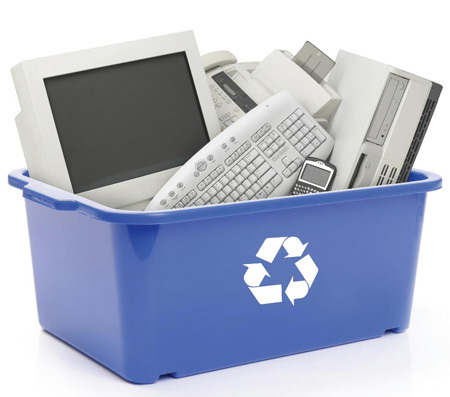 In September of 2005 the company was accepted into the Alberta Electronics Recycling Program, and Technotrash began accepting and processing discarded, surplus, obsolete and broken electronic devises from commercial, residential and industrial location. A loyal client base was broadened and forward growth has reported steady to date. Currently Technotrash Alberta Ltd. has a 99.985 recycle rate with its electronics, and is doing more than its share of preventing landfills from being filled with unnecessary items. At peak performance, the company supports 14 employees and can overcome industrial obstacles through it's sturdy management style and savvy outlook on recycling. The company envisions an imporved quality of environment, higher recyclable efficiency with elecrtonics, and a unified front as our society moves toward a trendy and green future. How much does it cost to donate my old electronics for recycling? There is no cost to the client for recycling electronics. Commercial and industrial donations are picked up by Technotrash Alberta Ltd., and residential donations are accepted at the warehouse. How are the electronics shipments processed? We specialize in the promary stage of electronics recycling. After the electronics arrive at the warehouse for processing, they are scaled and counted for inventory. Technotrash employees break down, take apart, and sort the parts and pieces of the equipment. Subsequent parts such as circuit boards, wire, plastic, metal and aluminum are grouped and shipped to various secondary locations for further recycling. Is Technotrash Alberta Ltd. goverment approved? Currently the Alberta government does not approve electronics recycling opperations.